We are especially keen to elevate the completion and quality of home learning this term. Every student is expected to complete home learning to the best of their ability. Effort and success are rewarded with raffle tickets or house points. There will even be a class party for the base group with the best home learning! 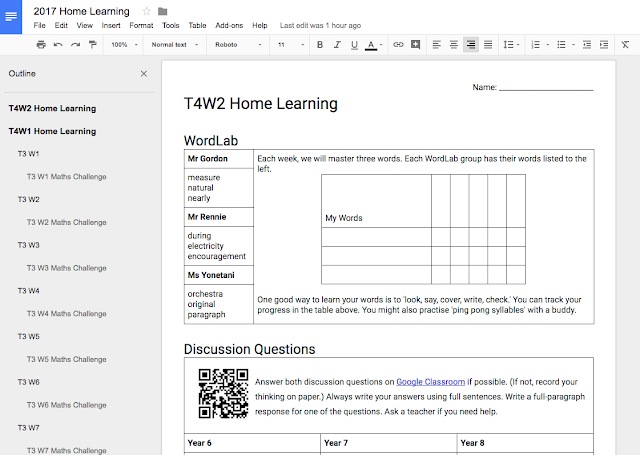 Home learning is available on paper, on our blog, and Google Classroom. We are using Google Classroom to share our home learning and to give each other feedback. 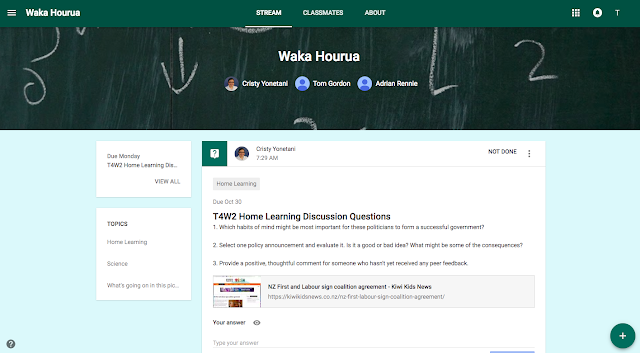 We strongly encourage you to use Google Classroom if you can. We also have printable version of the home learning. Every student receives a paper copy at the start of the week and spares are posted on our shared noticeboard.